New World Library, 9781608681587, 214pp. As they juggle school, work, sports, rehearsals, homework, and socializing on and off-line, most contemporary families describe themselves as frazzled, scattered, and distracted. Most also say they want off the treadmill but don’t know how. Trudeau helps them find calm and connection with concrete, practical actions that seem small” but build on each other to create real change. Not another you should” chore, these are pleasurable activities that any family can enjoy. 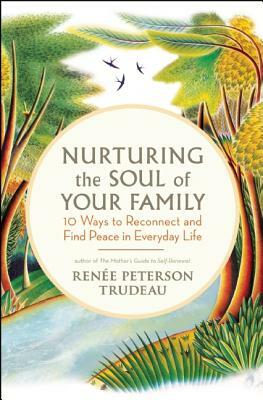 Each chapter focuses on a different aspect of family life, from individual self-care to establishing a spiritual practice, managing media, and savoring nature. Real world family stories make this at once inspiring, energizing, and affirming of the incomparable joy all families are capable of experiencing together. Renee Peterson Trudeau is an internationally recognized life balance coach, speaker, and author. Her work has appeared in the "New York Times, Good Housekeeping, " and numerous other media outlets. On the faculty of Kripalu Center for Yoga & Wellness, she leads life balance workshops and retreats for Fortune 500 companies, conferences, and organizations worldwide. She lives in Austin, Texas, with her husband and son.